With baseball being one of the most popular sports amongst kids, it is important to have the right equipment to help them play to the best of their ability. Having a good quality glove that fits well can easily enhance someone’s game. 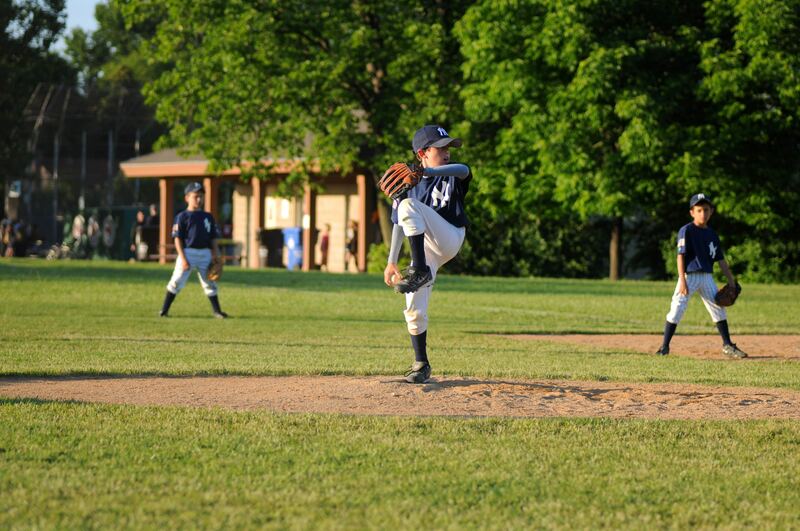 In this article we will cover several different youth baseball gloves that could be great picks whether you’re purchasing for your own child or an entire team. We’ve done the research for you and compiled the list of the best youth baseball gloves here where you’re able to compare pros and cons of different gloves to see which one will be best for you to purchase. If you’re well versed on youth baseball gloves or have absolutely no idea what makes a good glove, continue reading to see what’s hot on the market right now and which gloves have been raved about for years and years. 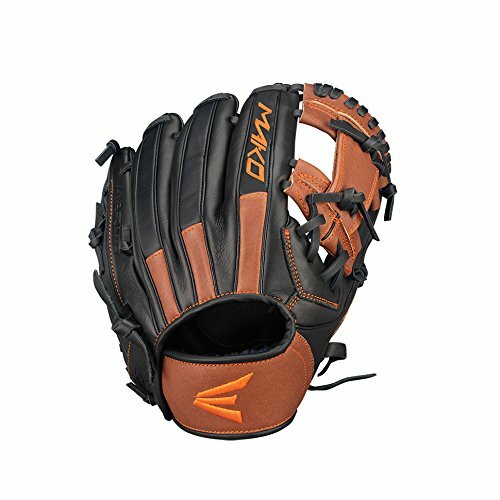 If you’re looking for a lightweight glove that will enhance your ability to catch baseballs in the field, this is a great option. 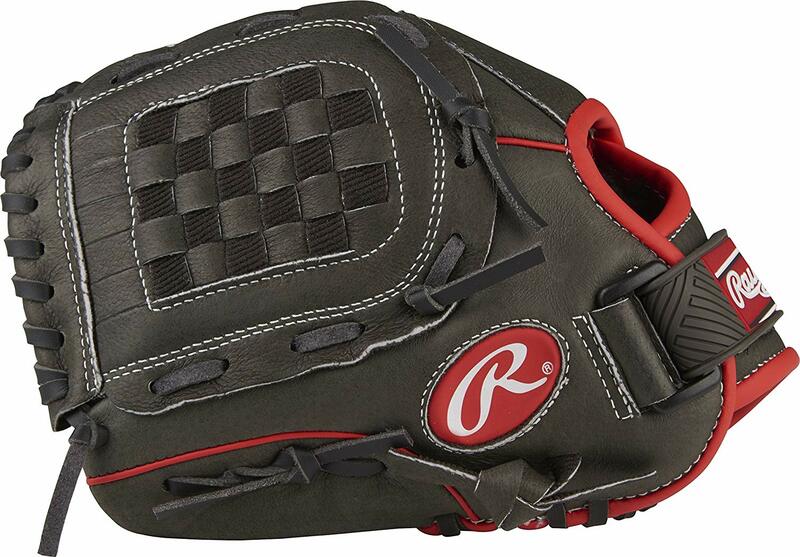 It comes from Rawlings “Mark of a Pro” light series. There is an extra layer of protection when it comes to the palm and finger padding. The palm is made of full leather and retains pocket shape.It’s known for being lightweight due to its mesh back construction which not only makes it lighter but also increases flexibility and allows you to catch quicker. The back is designed with a velcro strap to keep it on your hand securely and makes it easy to take on and off. With over 100 professional baseball players choosing this glove, it’s definitely one to look into if your little one is serious about playing. 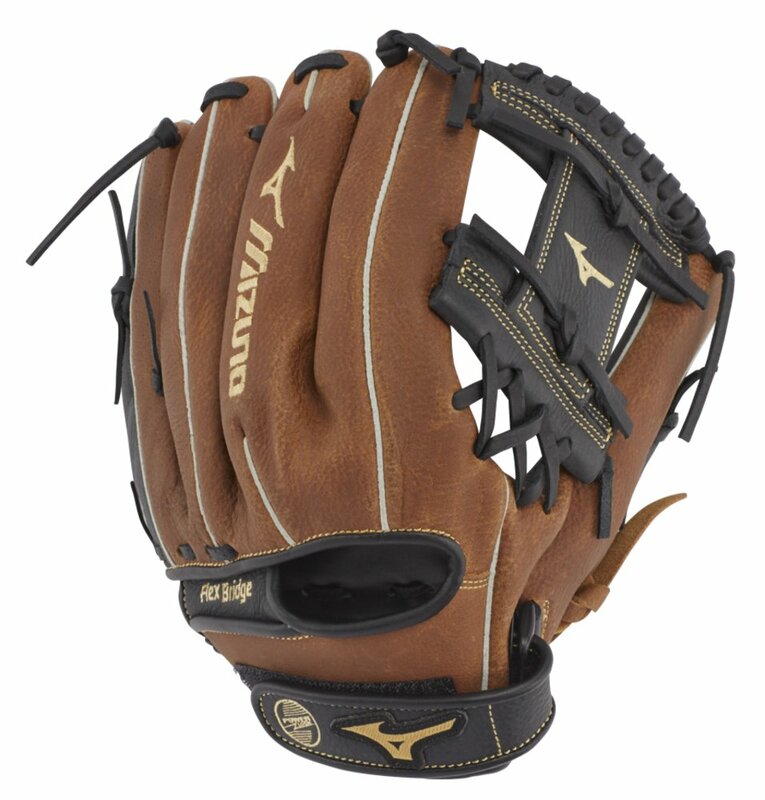 The gloves are made in Haga, Japan and are handcrafted by a Mizuno Glove Master. Made using hand chosen Northern European Kip Leather, this leather is kept in incredible condition and stays that way as this is the best leather a glove could be made out of. The Mizuno Pro LE is also the only glove that has its own program for reconditioning where the company will recondition and repair the glove to restore it to use as if it’s brand new, this is available once during the gloves lifetime. 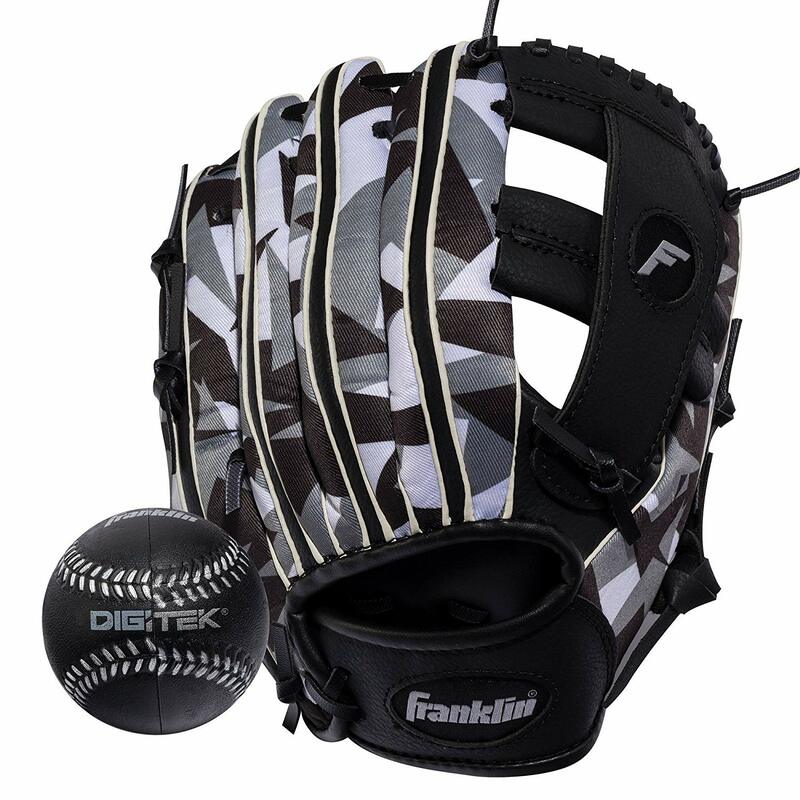 Available in several colors, Franklin Sports Ready-To-Play gloves are great for boys and girls. These children’s baseball gloves are well known for how light and comfortable they are on the hand. This could be a great option if the child you’re buying for is a beginner. They are specifically made with a construction of technical mesh that allows little ones to take it from the box to the field without and hassle or breaking in needed. 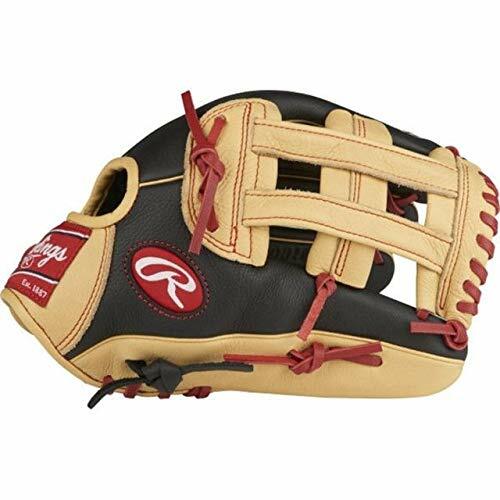 This series of gloves by Rawlings is popular to give children the aspiration of using the same style of glove that their favorite players use. Baseball stars such as Manny Machado and Kris Bryant use similar gloves with the same features. To get better control, you will find a slightly smaller hand opening compared to other gloves. You will also find padding on the palm and index finger for shock resistance on this glove. If you’re looking for a glove that is known for how well it handles speed, this may be the glove you’d want to purchase. Easton uses materials and patterns used by professionals and have made them for the youth. These gloves are known for being built to perform while being comfortable and lightweight. 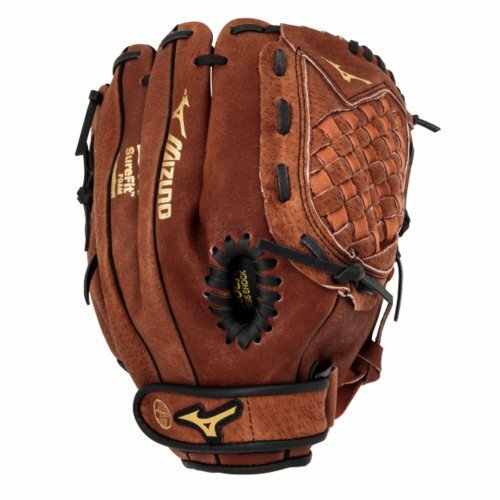 Using a thinner hide known as JPro Cowhide that is tanned with oil and tumbled for softness, you will find this glove perfectly flexible for young hands. This glove with save you any pain you have while catching the ball since it has a butter soft lining that helps to reduce the sting you can get when catching the ball. This can be a major plus for parents since it will cause less pain for your child. There is a feature called PowerClose that helps to hold on the the catch easier and the Paraflex Palm which makes it easier to break-in since it’s more flexible. There is an 11.5 inch utility pattern that is perfect for children 8 years and under. One of the highlights of this glove is the fact it comes with a 1 year warranty which covers any damage done to the glove within the first year.